Many thanks to everyone who has helped me get my Surf Champ fully operational! I've now moved on to a full cleaning and rebuild of pop bumpers and flippers. But I've run into a snag with the flippers. 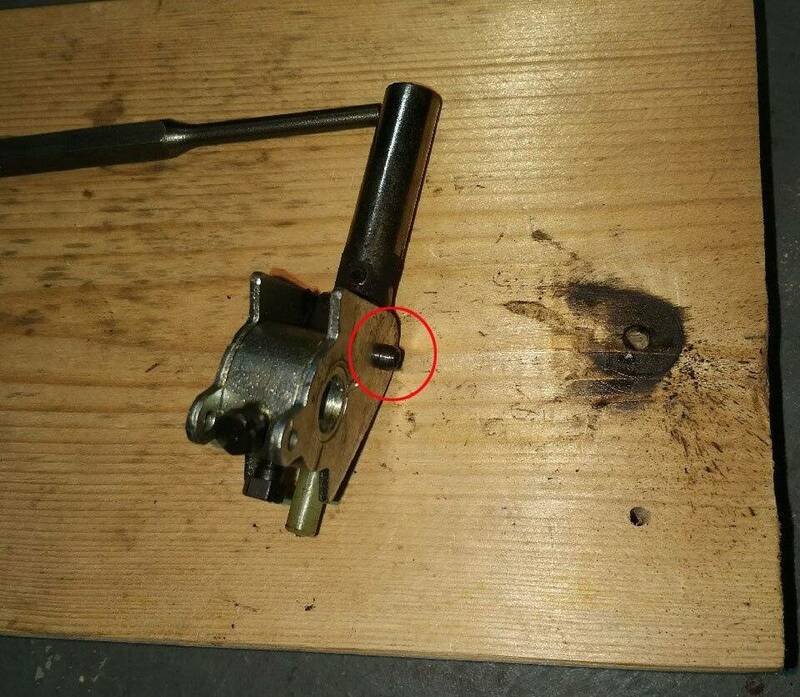 I can't seem to remove the roll pin that holds the plunger/link to the crank/lever. I found instructions in another post: Drill a hole in a block of wood; place the pin in the hole and tap it out using a pin punch. Problem is that I've been tapping (and then some) on the pin punch for half an hour and only moved it about 1/8". 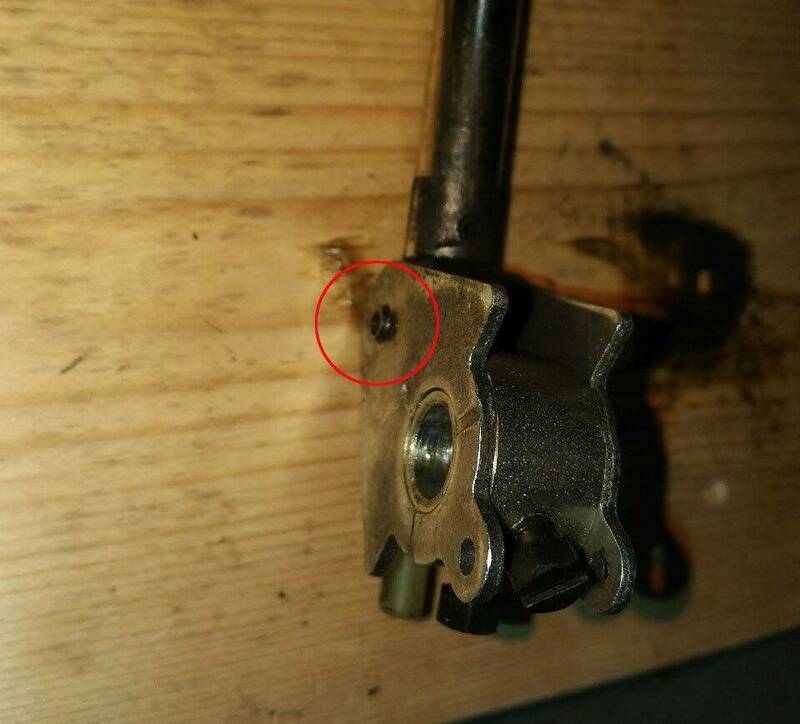 I put a drop of 3-in-1 oil around the outside of the pin to try to loosen it up - plunger/link appear to be original equipment. But it's still not budging. Suggestions? They always seem to go or not go for me, never ease out slowly..I’d crank up the elbow grease and make sure you have correct size punch. Try some penetrating fluid overnight. Deep Creep, PB Blaster, or something similar. Buy some new roll pins use the right size roll pin tool to knock the old one out using a hammer . When removing the old pin sit the flipper shaft between 2 bricks.Use abit of force and they should pop straight out. Just went through this when rebuilding my flippers. I used a 5/32" punch, which was the perfect size, and I used a bench vise, with the jaws slightly opened, so the roll pin had the gap to clear. 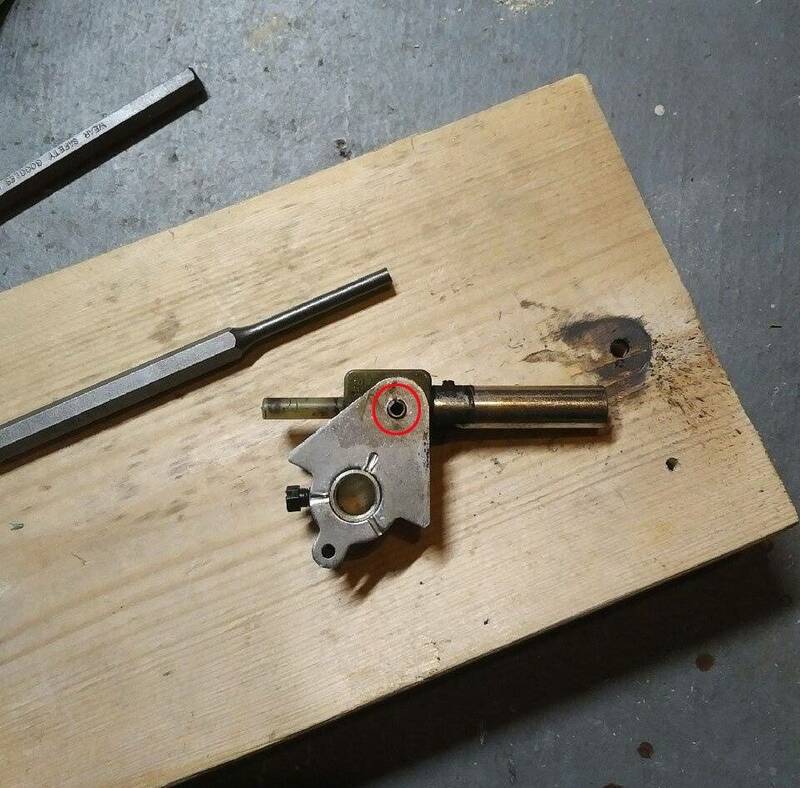 I rested the crank assembly on top of the open vise, and tapped the pin out just enough that I could wiggle the old plunger assembly out. It didn't take too much effort, but it took some fiddling because I didn't want to knock the pin all the way out since I was going to reuse it. Yes I always prefer to use a bench vice for this task-a nice progressive non shock push in particular to get movement started using a small socket to take the protruding end. When re-assembling I also use a spacer to prevent the pawl jaws from closing which prevents appropriate freedom of movement of the plunger/link. Thanks for all the suggestions! I'm happy to report that the 3-in-1 oil I used last night must have worked some magic overnight and I was able to bang it out without much difficulty this afternoon. Did the second flipper this afternoon - came out with a little oil and only a dozen taps of the pin punch. Far easier than the first one. Not a fan of this design, that's for sure.